These places to visit in Illinois written by traveling families are sure to help you with your road trip plans. Read what others are doing and share your favorite attractions in Illinois. Places to visit in Illinois offer a great mix of family attractions from the typical tourist attractions to the unique and unusual. The most famous city in the state is Chicago, which features world-renowned architecture, and the Lincoln Park Zoo. The city is also well known for Millennium Park which offers winter ice skating, art, music and hundreds of free events throughout the year. When it comes to other places to visit in Illinois, the options are just as exciting! Families can choose to go eagle watching, hiking, experience living history at parks and historic sites, view outdoor gardens and go horseback riding. I have been going to Chicago's Navy Pier for so many years and I have enjoyed the events throughout my life! When I was single, Navy Pier hosted the Chicago Fest but has since become one of the most popular sites for families to enjoy a variety of events! Throughout the year they have a lot to choose from especially year round family oriented shows. They have the IMAX 3-D Theater that is absolutely incredible! The experience is unforgettable and features films ranging from space travel, nature and roller coasters! 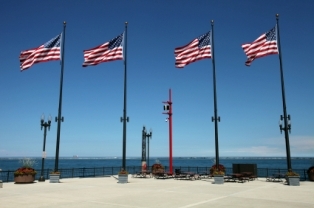 Navy Pier has a Family Pavilion Stage that provides great entertainment for all ages! They have special events throughout the year but even during our very cold days they have a Winter Wonder Fest that is outstanding that offers indoor skating, sledding, rides and a variety of activities! There is a new Fine Arts Fridges event that artist have created works made completely of recycled refrigerator materials, this may sound unusual and it really is! The "Pier" is open year round so you are sure to find something for everyone! Parking is readily available for the entire day but I would recommend public transportation that takes you door to door from the train to the pier! I hope you enjoy some quality and fun times there! So what made your trip to Illinois special? Are there amusing, odd or scholastic places to visit in Illinois that parents with children will want to check out when they visit the state? Use a 1-5 rating to review the fun, unusual and special attractions, events and activities that makes Illinois a perfect destination for family RVing. What's Your Favorite Family-Friendly Tourist Attraction in Illinois? Do you have a great experience to share? 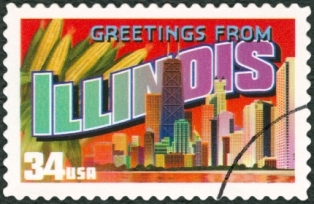 Tell us what places we should visit in Illinois!